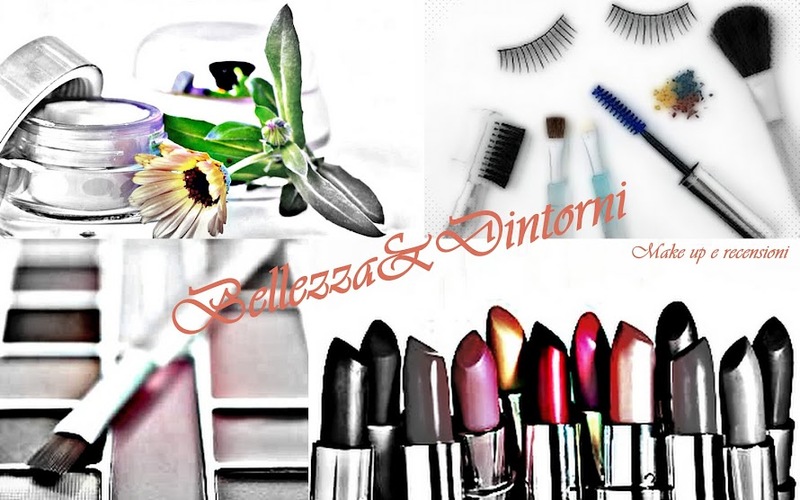 la Buff'd Cosmetics,un'azienda canadese che produce cosmetici minerali, mi ha dato l'opportunità di provare alcuni loro prodotti. Mineral Eyeshadow Mousy: un marrone freddo con riflessi argento ottimo a mio parere per uno smokey eyes non troppo pesante e sofisticato. 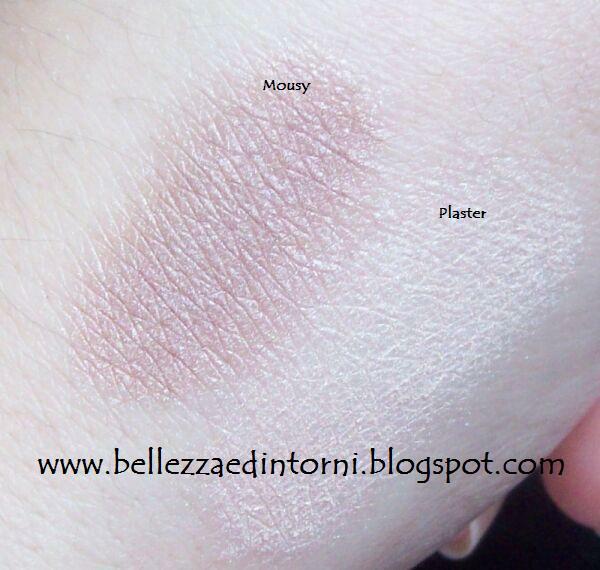 Mineral Eyeshadow Plaster: un rosa shimmer chiarissimo secondo me ideale come punto luce. 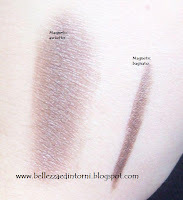 Mineral Eyeliner Magnetic: eyeliner minerale color cioccolato molto scuro con piccole perlescenze argento, bagnato aumenta la sua pigmentazione. Mineral Blush Tricky: blush rosa pesca con mini glitterini argento. Mineral Blush Velvet Matte Playful: blush rosa antico completamente matte. Bronzer Velvet Matte Honey: il bronzer più chiaro che hanno, completamente matte e ideale per le carnagioni più chiare. Finishing Powder Sundance: cipria ideale per le pelli da normali a secche, una volta sfumata diventa completamente trasparente. 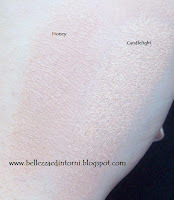 Mineral Foundation (concealing) Warm-Light: fondotinta minerale per sottotoni gialli, è nella formulazione concealing ovvero la più coprente. Mineral Foundation(concealing)Warm-Pale: fondotinta minerale sempre per sottotoni gialli ma molto più chiaro rispetto al precedente. Per me è ottima la nuance warm-light. Ad ogni modo ho apprezzato tutti i prodotti che mi sono stati inviati, in particolar modo gli ombretti che sono stati scelti in base al mio colore di occhi. Ringrazio nuovamente la Buff'd per questa opportunità e se avete voglia di dare un'occhiata al loro sito clikkate qui, spediscono senza problemi anche in Italia. 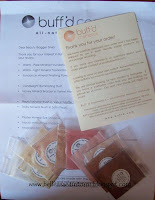 the Buff'd Cosmetics, a Canadian company that produces mineral cosmetics, gave me the opportunity to try some of their products. Mineral Eyeshadow Mousy: a cold brown with silver highlights in my opinion great for a not too heavy and sophisticated smokey eyes. Mineral Eyeshadow Plaster: a pink shimmer perfect, for me, as a clear light. Magnetic Mineral Eyeliner: mineral eyeliner in a very dark chocolate brown with silver reflects, wet increases its pigmentation. Mineral Blush Tricky: pink blush with silver glitters. Velvet Matte Mineral Blush Playful: antique pink blush completely matte. Bronzer Velvet Matte Honey: The clearer bronzer who is perfect for lighter skin tones. Sundance Finishing Powder: powder ideal for normal to dry skin, blurred once it becomes fully transparent. Mineral Foundation (Concealing) Warm-Light: mineral foundation for yellow undertones, it is in the formulation Concealing which cover the most. 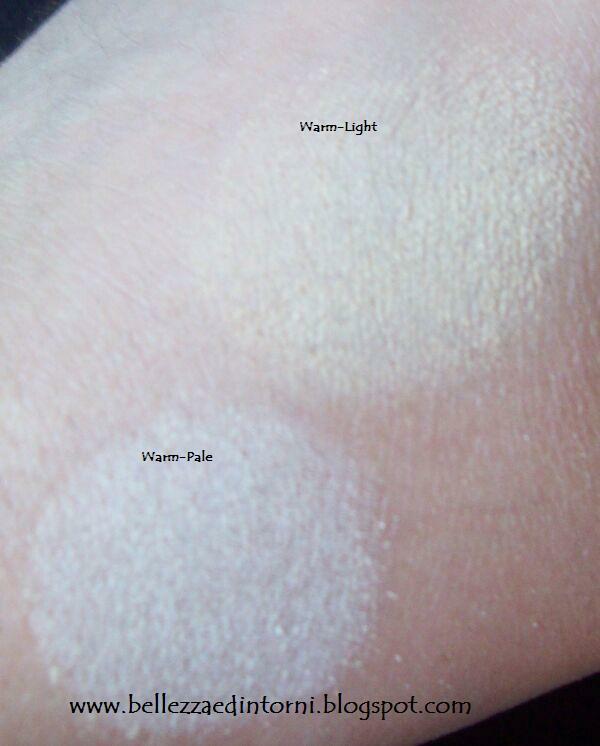 Mineral Foundation (Concealing) Warm-Pale: mineral foundation again for yellow undertones but much clearer than the previous one. For me it is better the warm-light shade. Anyway I appreciated all the products that I have been sent, especially eye shadows that have been chosen according to the color of my eyes.